Can the forest cover in India withstand large climate alterations? With the threats of climate change, the forest cover in India necessitates the study of its survival probability and the precipitation thresholds value trigger life form regime shift. 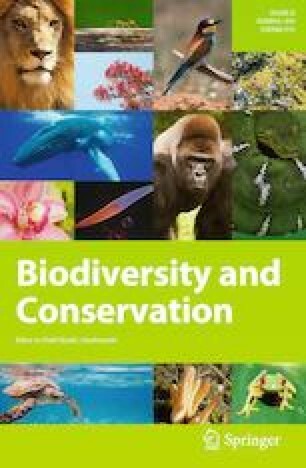 With a mega-biodiversity ecosystem, the assessment of forest cover resilience will enhance the effectiveness of climate adaptive conservation strategies. In the current study, we have used an open source tree canopy cover percentage (TCC %) data to map the spatial distribution of forest, scrub, grassland and treeless, and to relate with long term annual precipitation. The natural occurrences forest, scrub, grassland and treeless were identified in the precipitation ranges as 340–8650 mm, 196–1018 mm, 167–995 mm, and 34–965 mm precipitation, respectively; whereas their mean values were observed as 1952 mm, 779 mm, 760 mm, and 322 mm respectively. We applied binary logistic regression with the binary presence and absence of life forms, and used the probability value to define the resilience state and precipitation thresholds. Only 0.02% of the total forest covers in India are estimated least resilient observed in the dry regions in the trans-Himalaya. Whereas, the forest covers in the wet climate regimes as the Western Ghats, Western Himalaya, Eastern Ghats and North-East (NE) India are predicted highly resilient. The forest cover resilience curve saturates about 1400 mm precipitation, indicating majority forest covers in India are extremely resilient that can withstand large precipitation alterations in addition to the shorter drought periods. However, the TCC % loss and gain during 2000–2017 were observed dominantly in highly resilient forest covers areas may be indicating its anthropogenic origin. The precipitation thresholds of each life forms and forest cover resilience are critically important in ecological research. Moreover, the spatially explicit forest cover resilience map offers to integrate with other spatial and non-spatial data to frame uniform and improved conservation and management policies in India under the threats to climate alteration. The online version of this article ( https://doi.org/10.1007/s10531-019-01759-y) contains supplementary material, which is available to authorized users. This study has been carried out under the framework of “Climate Change Effects on Indian Forest Cover, project under DST Coe in Climate Change”.